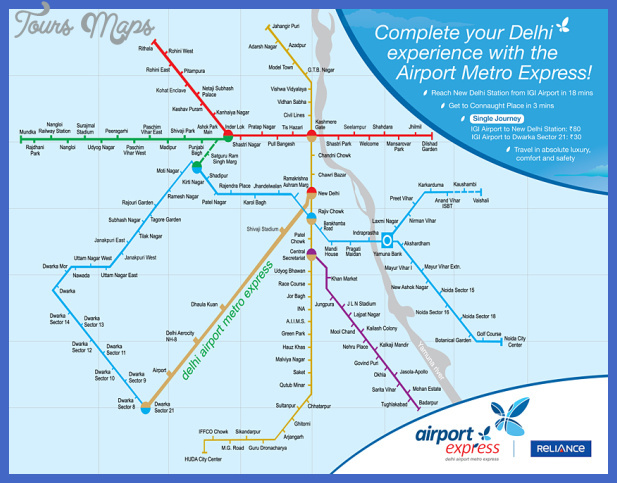 English: Schematic route map of the Delhi Metro rail system. Existing lines (till Phase 2) are in their designated colors, and planned Phase 3 lines are in grey. Phase 3 is scheduled for completion by 2016. Line 2 : 26.4 km, 21 stations. Metro line no. 2, which links the new Xi'an North Railway Station to Weiqu in the south, along a straight north-south corridor right through the city centre.